Hi everyone and welcome to the Books Between Podcast! I believe in the power of stories to brighten our world and spark change within ourselves. My goal is to help you connect kids with those amazing stories and share inspiring conversations with the authors and educators who make that magic happen. I am Corrina Allen - a mom of two tween girls, a 5th grade teacher, and surrounded by slime. Oh. My. God. There is no escaping this stuff - it’s like a preteen version of The Blob with sparkles and glitter and sequins and now - foams beads! This is Episode #46 and today I’m sharing three books featuring the magical power of dogs, and then I’ll share with you a conversation with Karina Yan Glaser - author of The Vanderbeekers of 141st Street! Two quick announcements before we get started - the MG at Heart Twitter chat about The Vanderbeekers of 141st Street is tomorrow night - Tuesday, April 3rd at 8pm EST using the hashtag #MGBookClub. And if you want to get ahead with your reading, the April Middle Grade at Heart Book Club pick is The Parker Inheritance by Varian Johnson and the May pick is Every Shiny Thing by Laurie Morrison and Cordelia Jensen. I was excited to have Laurie join me today to interview Karina and can’t wait to have her back to discuss her own debut. In this section of the show, I share with you a few books centered around a theme and discuss three things to love about each book. This week I’ll be talking about three awesome middle grade novels about separation, unlikely friendships, and the special magic of dogs. Now I will admit up front that am not a huge dog person. I mean - a well-trained dog is an amazing pet, and I love visiting with my friend’s dogs but I am more than okay with not having one of my own. But these three books hit me hard - and if YOU love dogs, they will wend their way into your heart even more. The books this week are Good Dog by Dan Gemeinhart, Hello, Universe by Erin Entrada Kelly, and Granted by John David Anderson. The afterlife concept in this book. So - I don’t believe in life after death, but if it existed - I would hope it’s like this one. Going to an in-between place, a passing-through place where peace will rise up to you through your remembering as the goodness in you shakes off the last bits of darkness and sadness until you can move on to that final Forever. It’s hard to explain how much I came to love this book without giving away a major spoiler. And I had prided myself on the fact that even though others had warned me to have tissues handy, I was fine... no tears, just FINE. Until page 285 when I learned that tiny but significant detail about the narrator that had me a sobbing wreck and needing to reread the entire thing! The second book I want to tell you about this week is the 2018 Newbery Award winner - Hello, Universe by Erin Entrada Kelly. This one has a special place in my heart because it’s a novel that my daughters and I experienced together. We listened to the audio book throughout December and January and grew so attached to - well, I was going to say, to all the characters in the book, but I’ll say all but one. Hello, Universe is a quietly powerful story told from the point of view of four children. Virgil Salinas, a shy and quiet boy who longs to be recognized as more than just the “turtle” of his family. And who wants to be friends with Valencia - the girl in his special needs class at school. His close friend is Kaori Tanaka who has this physic business for kids and who places a lot of stock in signs and horoscopes and telling fortunes and the concept of Fate. And the final of the main trio is Valencia Somerset, who loves nature and adventure and who is also deaf. She and Virgil attend the same school but haven’t really met. However, they’ve both met Chet Bullens - the school bully. The entire story takes place over the course of one day when at various times, all four children end up in the woods near their school. And one of them falls in an abandoned well. Here are three things to love about Hello, Universe. The blend of the mystical and the modern intertwined with Filipino folktales that really show the power of those stories across generations. And how those archetypes of heroes can inspire us to our bravery. Or as Virgil’s grandmother says, to discovering your inner “bayani” - your inner “hero”. Valencia! She was my favorite character - wise and clever and stubborn - and so attuned to others’ reactions to her deafness. Someone pointed out that hers is the only point of view told in the first person so maybe that’s why I identified so much with her. It’s a tiny moment but when she describes sneaking tupperware bowls of food into the woods to feed this poor stray dog, and how she never remembers to return them….. I felt like the author captured something so real there. I remember taking my mother’s measuring cups and spoons out to play in the dirt until suddenly we had none left. And there was this one summer where I fed this stray cat in our neighborhood for weeks...one can of tuna fish every day. I felt like there was something very true to preteens about that mix of compassion and cluelessness. The role of the dog in this book. Like I mentioned, Valencia has befriended this stray dog who lives in the woods. And he doesn’t play a huge part in the story - at first - but his role is crucial in surprising ways later on. He didn’t turn up when I thought he might. But I felt as though he could have known Brodie and Tuck from Good Dog. If you have kids who are looking for a fast-paced, action-filled novel, Hello, Universe isn’t that book. But it has wit and warmth and philosophical depth explored through really relatable and unique characters. I just loved it! The fairies’ names! They receive their middle name first - which comes from the plant where they were born. (Like Rose or Oak or Daffodil). Their last name is given by their Founder - the fairy who discovers the newborn sprite and oversees their early care and adds a name that expresses something about their personality. (Like Fidgets or Crier). And their first name is completely random. So you get names like our protagonist Ophelia Delphinium Fidgets, her best friend Charlie Rhododendron Whistler, May Rose Crier, or...Gus Fothergilla Gaspasser! Sam! The mangy, smelly golden-haired mutt who after first wanting to eat then chew then chase Ophelia, offers to help her track down the wish she must grant. And.. maybe get to eat some donuts along the way. Ophelia is definitely NOT into this arrangement. Their conversations are HILARIOUS! Ophelia’s song. So - every fairy has a magical song that they can sing for a particular effect- perhaps enchanting the listener or having a more negative effect. And while most fairies opt for a traditional tune like “Greensleeves” or “Rolling in the Dew” or maybe even a Sinatra song, Ophelia’s song is…. oh I so want to tell you what it is! But you just have to read it! Let’s just say, it’s something more….modern! Granted and Good Dog, and Hello, Universe are three books that will cast a magical spell on your heart. Joining me this month for our Middle Grade at Heart interview with Karina Yan Glaser is author Laurie Morrison. We got an opportunity to sit down together last month to chat about brownstones, balancing your reading life, and of course - The Vanderbeekers! CA: Can you tell us what this story is about? LM: I love that the book is so balanced between the Vanderbeekers and has five equally developed main characters. Was one of the kids especially challenging or especially fun for you to write? Do you have any advice for other writers who are working on stories with ensemble casts? CA: One of the things that made me fall so hard for this book was that vibrant Harlem, New York setting with Castleman’s Bakery and the brownstones and City College in the background… Was the Vanderbeeker’s neighborhood modeled after your own? LM: I’ve seen many readers comment that the book feels classic or timeless or old-fashioned. What do you think it is about the book that makes it feel classic to readers? LM: I noticed that you created the wonderful illustrations inside the book. How did you decide to include those, and were they always a part of the manuscript? CA: I noticed that you have an adorable bunny! Can she do tricks like Paganini? LM: I’m so excited that there are two more Vanderbeekers stories on the way! Did you always know there would be more than one book, and what has it been like to write more Vanderbeeker adventures? LM: I know you’re a contributing editor at Book Riot and write a weekly newsletter. That must mean you do a lot of reading and a lot of writing outside of your fiction! How do you balance those different kinds of book-related work? Sometimes it only takes that one adult in a kid’s life to influence them as a reader - either in a positive way to spur them on and spark that passion in them, or sometimes to squelch it. CA: Was there an adult in your life who impacted you as a reader? LM: I think The Vanderebeekers of 141st Street would be a fabulous book to read aloud to kids. Do you have any favorite books to read aloud to your own kids or kids you’ve worked with in the past? CA: What have you been reading lately that you’ve liked? 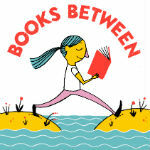 And - if you are wanting more discussion focused on middle grade, check out the new podcast called Lifelines: Books That Bridge the Divide hosted by authors Ann Braden and Saadia Faruqi. I’ll drop a link to their first two episodes in our show notes, and I am really excited to see more middle grade podcasts out there.